Use the warmup to create a bridge from digital distraction to full, present engagement. Information overload is becoming a major force in modern life. We&apos;re constantly bombarded by tweets, bells, alerts and check-ins on our smartphones, tablets and smartwatches. Our mental real estate is littered with texts, reminders, news, updates and much, much more. All this, compounded by life&apos;s ongoing responsibilities, can scatter attention far and wide. You don&apos;t have to teach a mind-body-oriented class to see the need for a transition from digital distraction to your highly focused routine. What can you do to help attendees—at least temporarily—shift from tech-driven mind chatter to 100&percnt; present-moment awareness so they fully absorb your cues on how to safely execute a box jump&quest; The following tips may help. Warmups aren&apos;t just about preparing the body; they set the tone for the entire class. Your warmup is the perfect time to do something that signals a move from one space &lpar;the outside world or digital distraction&rpar; to your class. Martica Heaner, PhD, a health writer and fitness expert based in New York City, plays a dramatic opening song in her cycling classes to help riders "zone into the workout and out of their real worlds." Los Angeles— and Zurich–based fitness expert Shirley Archer, JD, MA, 2008 IDEA Fitness Instructor of the Year, teaches classes that include a lot of moms, so she doesn&apos;t like to dictate whether they can use their phones or not. However, she does ask people to put their phones on silent and to leave quietly if they must. "I also start classes with a temple bell or bowl followed by a sensory warm-up where we check balance and posture with eyes closed," she says. This brings everyone into the present moment and gathers the group energy." It may be useful to have a predetermined system in place upfront so that people know what the expectations are. Make it clear you&apos;re not trying to punish anyone, but rather you want people to have the safest experience possible. 2009 IDEA Fitness Instructor of the Year June Kahn, owner of June Kahn&apos;s Bodyworks LLC, Broomfield, Colorado, asks her Pilates students to put their phones on silent and drop them in a basket by the door. "If someone absolutely needs their phone &lpar;emergencies only&rpar;, I request that they put it on silent &lpar;not vibrate&rpar; and put it under the reformer, where it is out of sight. While teaching Pilates, I emphasize complete concentration, and when they [engage that way], it amazes me how those who absolutely have to have their phones by their sides get so wrapped up in the moment that they never glance at [their devices]. It&apos;s a start." Another way to get participants fully engaged is to focus on what you want them to do instead of what you don&apos;t want them to do. In other words, instead of pointing out that someone is rapidly developing "tech neck" while he stares at his phone, highlight the workout with full gusto. Peter Twist, MSc, president and CEO of Twist Performance + Wellness, Vancouver, British Columbia, doesn&apos;t allow phones in training areas and teaches programs that inherently demand attention. "The exercises are designed to force people&apos;s brains to compute nonstop," he says. "No one who is participating could use their phones even if they wanted to. Those who have snuck their phones in stop participating and leave the room." 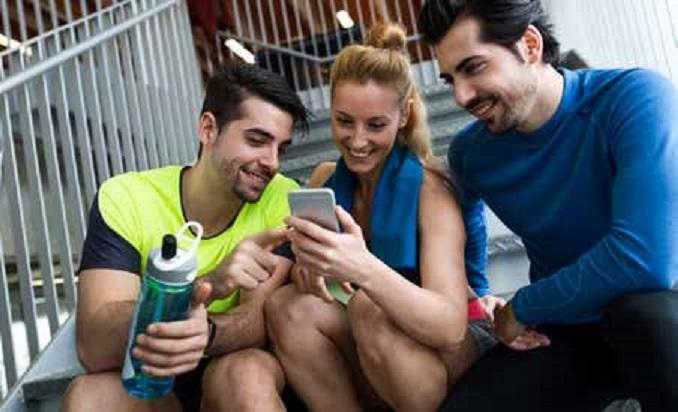 Whatever method you use for helping participants disengage from their phones and align with your workout, be clear why you have guidelines and make sure they match those set by your facility. Want more from Joy Keller? 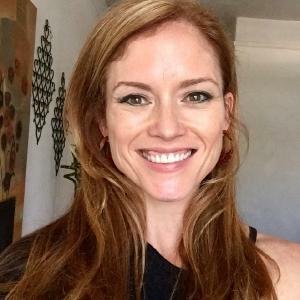 Joy Keller is executive editor of IDEA Fitness Journal and IDEA Fit Business Success, and is also a certified personal trainer, indoor cycling instructor, yoga teacher (RYT 200) and Reiki Master. Joy joined IDEA Health & Fitness Association in 2002, and brought with her a wealth of information about how to fine-tune communication channels, after having spent her formative career years specializing in business-to-business journalism. Before she even graduated with honors from the respected University of Georgia journalism school, Joy was offered a job at one of the most successful trade publishing companies in the southeast, Shore Varrone, Inc. She made her mark in the automotive aftermarket industry as a creative thinker and journalist with an intuitive knack for researching and understanding niche audiences. Joy has worked on several titles, including Auto Trim & Restyling News, Truck Accessory News, Digital Output Magazine, Retail & Construction News, Miata magazine, Ford Racing, and many more. Her passion, however, lies with health and fitness. She was the associate editor of ACE Certified News while working at the American Council on Exercise, and transitioned that publication from a newsletter to a magazine. She has enjoyed 17 years at IDEA, where she has launched several publications, including the award-winning Inner IDEA Body-Mind Spirit Review, IDEA Pilates Today and IDEA Fit Business Success. Joy is a content creator and media 2.0 advocate who takes pride in discovering the unique information needs of qualified audiences, and she is dedicated to serving those needs while following the highest available standards. ... read more.